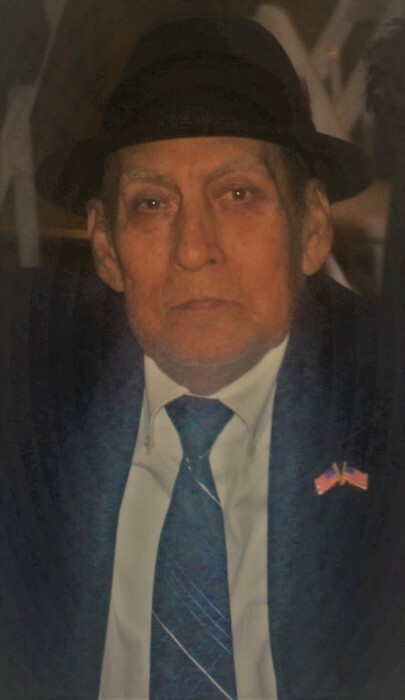 Manberto Zuniga, 74, of Merrillville, Indiana (originally from San Benito, Texas), passed away on Tuesday, January 29, 2019. He is survived by his dear wife, Maria, of 53 years; six loving children, Anna Maria (Arturo) Martinez, Christina (Rafael) Zamora, Veronica Zuniga, Monica (Sean) Pannell, Sonia (Alex) Zakarias, and Martin Zuniga; 17 adoring grandchildren, Elizabeth, Arturo Jr., Michael, Angelica, Bernadette, Joseph, John, Robert, Gabriella, Anthony, Fermin, Gabriel, Alexander, Gracie Anne, Gia, Sophia and Abraham; two great grandchildren Fermin Jr., and Delilah; two brothers, Gilbert & Vincent Zuniga; three sisters, Josephina, Juana, and Rosa Maria, and numerous additional loving family members. Manberto was preceded in death by his dear sister, Maria Zuniga. Friends are invited to visit with the family on Thursday, February 7, 2019, from 3:00 PM to 7:00 PM at Hillside Funeral Home & Cremation Center, 8941 Kleinman Rd., Highland, Indiana, 46322. A Funeral Mass will be held at Friday, February 8, 2019 at 10:30 AM, at St. Casimir Church, 4340 Johnson Avenue, Hammond, Indiana, 46327. Interment, St. John Cemetery, Hammond. As a father and husband, Manberto Zuniga was hardworking, humble and loving. He was skilled with turning tears into laughter as his unique humor was contagious. Through Manberto's original jokes and stories, he taught his children and grandchildren the lessons of life. He was compassionate and loyal to loved ones - a testament of his kind heart. He was outgoing, gregarious, and had a "never give up" attitude. Manberto was a good person and he will be missed by everyone who knew him.